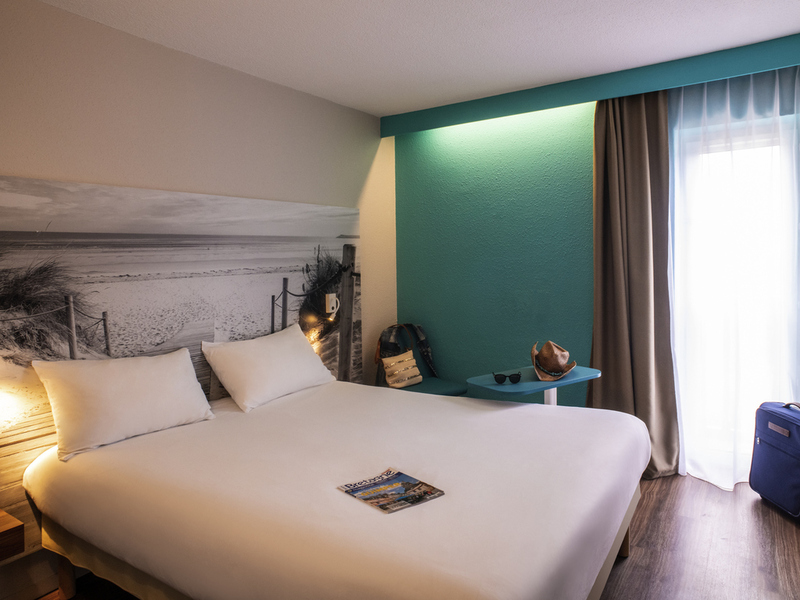 The entire team at the ibis Styles Quimper Sud welcomes you. Discover Quimper, a town of art and history, and the beautiful region of Brittany. Nathalie Carême. Hotel Management. Welcoming hotel, in a quiet and green setting opposite the Château de Lanniron. Close to the hotel: golf, exercise trail, swimming pool and tennis courts. 20 minutes from Bénodet beach, the walled town of Concarneau, Pont-Aven and Douarnenez. Come and discover our restaurant with its range of dishes, and enjoy a business lunch or meal with your family in a welcoming and contemporary setting. On sunny days you can enjoy your meal on our terrace. Open daily from midday to 2pm and 7pm to 10pm. Come and relax in our bar. People gather at the bar at all times of the day for a bit of me-time.